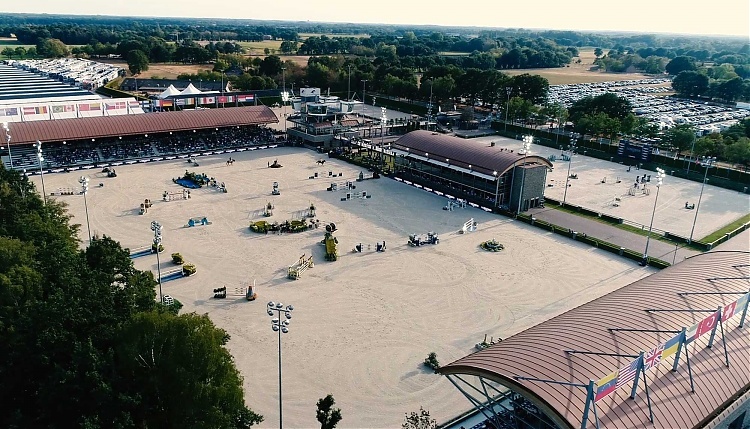 Valkenswaard, The Netherlands, is the spiritual home of the Longines Global Champions Tour and GCL, and has always been a favourite with riders, owners and partners alike. The spectacular, state-of-the-art Tops International Arena will host the 16th round of the Tour from 9th - 11th August. The superb facilities created by LGCT founder and president Jan Tops have raised the bar in equestrian sport new heights, cementing the venue as the epicentre of equestrianism in Europe. Designed with the horse as the top priority, the show ground features an exceptional 125m by 85m sweeping sand arena, four further arenas featuring top class footing, canter tracks and lunging arenas, expansive warm up arenas, exceptional wash areas and facilities for grooms to provide top standard care and over 500 world class and beautifully designed stables available for visiting competitors. Within the impressive complex there is a shopping village, refreshments and entertainment areas - all of which are available for everyone in the family to enjoy, and tickets allowing the perfect view of the action under covered grandstands as the 2019 LGCT Championship battle gallops towards the final quarter.